Minor warship vessels are a category of naval vessel covering a wide range of roles, including mine counter measures, off-shore patrol and survey. These vessels may be deployed in a war role, within threat environments, but are usually small and of a specialised nature. Traditionally, these roles have been achieved through the design of individual specialised classes of vessel. However, the emergence of new technologies, including the use of off-board, unmanned systems provides an opportunity to decrease the need for a highly specialised platforms and offers the potential of a single, re-configurable platform. 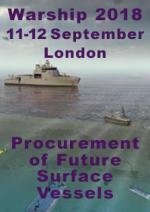 As with warship vessels of all types, they are require to be affordable whilst meeting an often complex capability. Minor warship vessels are often required to operate globally.